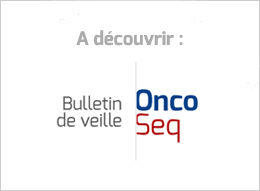 A lire aussi : l'autre billet du jour "Spécial AACR"
Genomic data is very difficult to integrate into health records at this time, so, as with H-Ras, the impulse is to focus on the easy and pragmatic in the short term, despite the fact that it may yield little in the long run. A newly discovered protein promotes immunity to viruses and cancer by triggering the production of cytotoxic T cells. The researchers admit that a lack of consensus about what constitutes ‘use’ of an e-cigarette presents something of a challenge for research in this area, and suggest that further much longer term studies to include the generation of young people who have grown up with e-cigarettes are needed before firmer conclusions can be drawn. FDA spokesman Michael Felberbaum said on Friday the agency is "moving forward expeditiously to finalize the rule." Its goal is to release it in June. But the potential for delay is considerable. Health care providers and their patients expect that laboratory tests used in clinical management of patients should be consistent and of high quality. You’d be correct in thinking it’s also too good to be true. Researchers used a new scoring technique they developed called MATH (mutant-allele tumor heterogeneity) to measure the genetic variability among cancer cells within tumors from 305 patients with head and neck cancer. Genetics is an imprecise science, and that’s why I try to use precise language. People develop cancer, they don’t contract it. The BRCA genes do not cause cancer, they elevate risk. The main problems I see are two. The first is in how the authors define a false positive, which is too liberally. The second is the authors’ estimate that “overdiagnosis” occurs in 22 percent of invasive breast cancers in women between the ages of 40 and 59. These assumptions undermine their calculations of mammography’s tab. The new regulation, once adopted, will aim to ensure a greater level of harmonisation of the rules of conducting clinical trials throughout the EU. Opdivo Demonstrates Superior Overall Survival Compared to Docetaxel in Patients with Previously-Treated Non-Squamous Non-Small Cell Lung Cancer. Investors are clearly highly excited because it is a category that analysts have said could generate sales of $22 billion to $33 billion by 2020. The U.S. drugmaker on Friday said the study, called Checkmate-057, was stopped early after an independent data monitoring committee concluded that Opdivo provided a survival advantage over docetaxel, a standard chemotherapy, among patients with previously treated non-squamous non-small cell lung cancer (NSCLC). Our timeline, spanning 1891 to today and containing more than 200 entries, shows some of the major discoveries and milestones in the field, highlighting CRI's impact along the way. The submission is based on data from KEYNOTE-001 in patients with greater than or equal to 50 percent of tumor cells positive for PD-L1 expression. Survey shows that many live in ‘denial’ of the real risks of smoking even a small number of cigarettes a day. To examine the real-world situation, he and colleagues conducted an online survey of 562 oncologists in 10 countries (Canada, France, Germany, Italy, Japan, South Korea, Spain, Taiwan, UK and USA) between December 2014 and January 2015. In this study, urine samples were taken from patients with metastatic NSCLC who progressed on erlotinib treatment and ctDNA was extracted by a method that preferentially isolates short, fragmented ctDNA. For nearly one in four lung cancer patients tested for EGFR mutations, results were not available in time to guide treatment decisions. In addition to expanding tracking of clinical aspects of cancer, auto-processing of data that routinely come to NCI is at the top of the SEER to-do list. They’ve made some ambitious promises – substantially increasing funding for the NHS, reducing waiting times for diagnostic tests, continued investment in cancer treatments and protecting the science spend to name a few. But the devil is always in the detail. What I am hoping to articulate is how to make more progress in cancer prevention and screening largely through the application of the principles of precision medicine. There also may simply be some opportunities to improve screening algorithms or something like that. That’s the main area. Another area is cancer health disparities. In summary, the meeting was very timely, and it was fun. But I ended up thinking it had a bit too much of preaching good intentions to the converted. It failed to grasp some of the nettles firmly enough. “It’s a ghastly mistake to exacerbate income inequality at a time when the institution is under severe pressure and the culture is aggravated by the gap between management and the workforce being too big”.